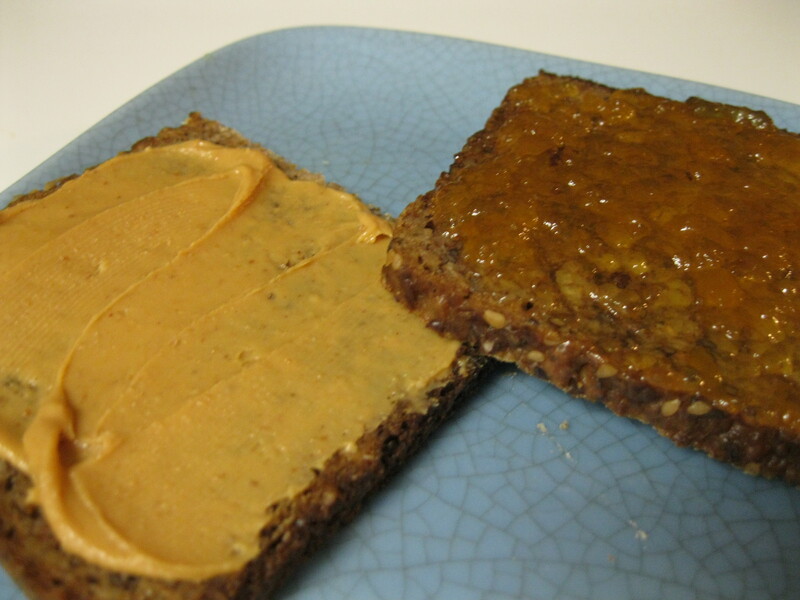 If you’re vegan, your go-to sandwich should be peanut butter and jelly. Just because you’re eating the sandwich of your youth doesn’t mean it has to be unsophisticated. A recent favorite is the deconstructed white chocolate peanut butter and apricot jam sandwich. I’m sorry I don’t have a few pictures of my dried cherry and chocolate almond butter sandwiches from the holiday season. They were AMAZING! PB&J isn’t a tired ordinary dish if you don’t see it that way. If you’ve got access to good jam and dried fruits, try Peanut Butter and Company for their chocolate, cinnamon raisin and white chocolate peanut butter or Justin’s Nut Butter for organic hazelnut and almond butter (chocolate too!). Bottom line: fruit and nuts are delicious and rich in nutrients, together or apart. Nourish your body and senses with both. PBJ is my jam. Haven’t done it since pushing toward gluten-free and vegan. Will need to get down on some organic jams and jellies. I found some decent gluten-free whole grain bread at my supermarket. It brought back the olde favorite.